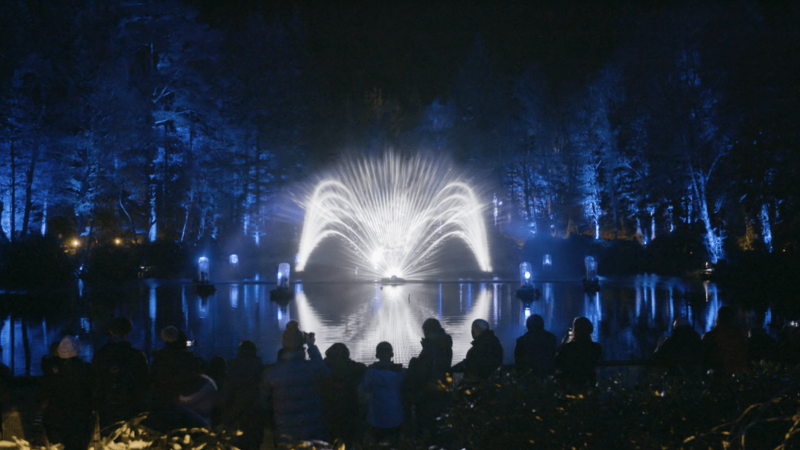 Enchanted Forest is an outdoor light and sound event that happens annually in Faskally Wood just North of Pitlochry in Perthshire. 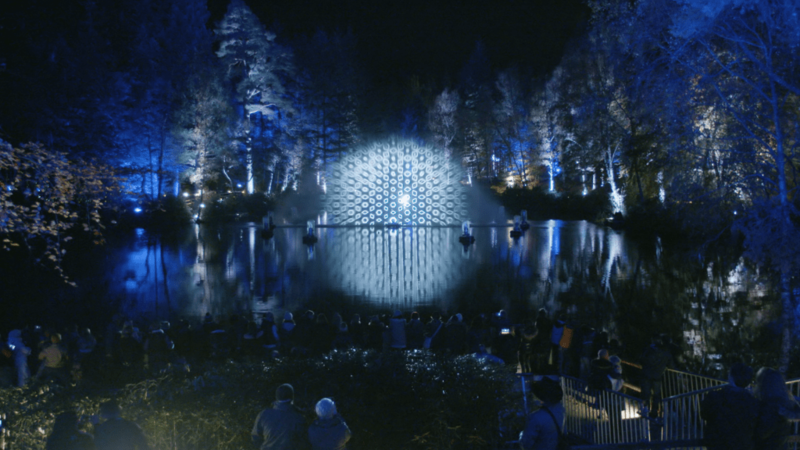 Audiences can walk around and experience this space which has been transformed using light and technology. 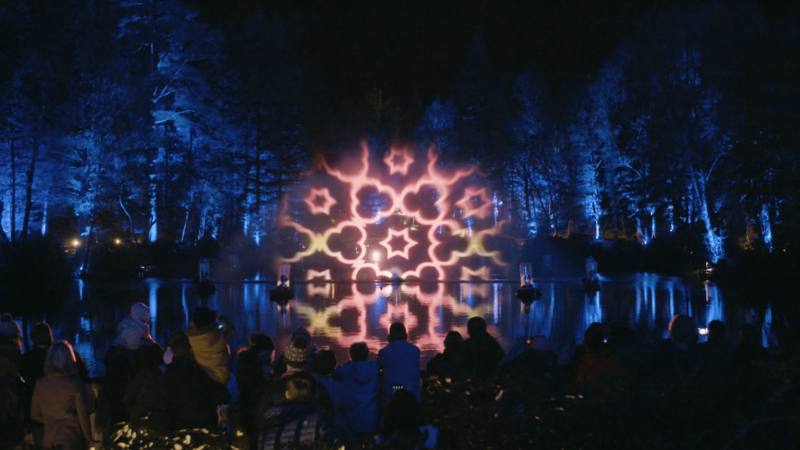 59 Productions was commissioned to work on one central element, a projection sound and light show which took place on the loch. 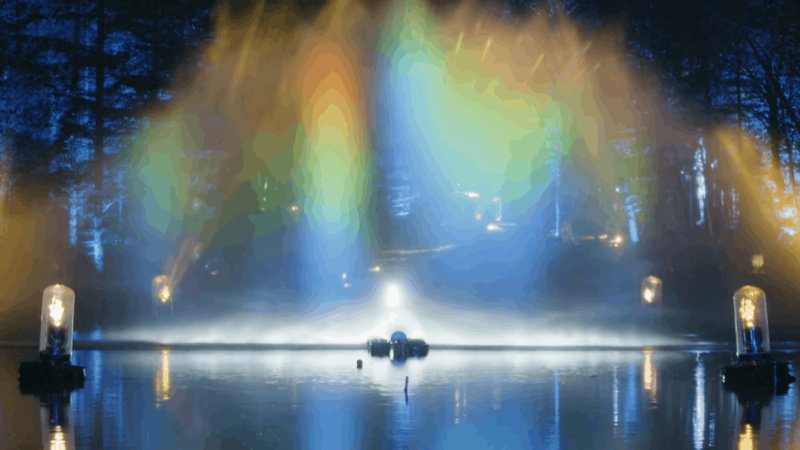 Providing a first for 59 Productions, the projection show used a water screen. Having previously worked on projection for the outside of buildings and geological features as well as the inside of theatres and opera houses around the world. The nature of this show meant working with an entirely transient surface that’s part of the natural environment that the show sits within. The 59 animation team for this project were brought to site to allow scope for an iterative process of creating content in response to how it behaved on the projection surface. 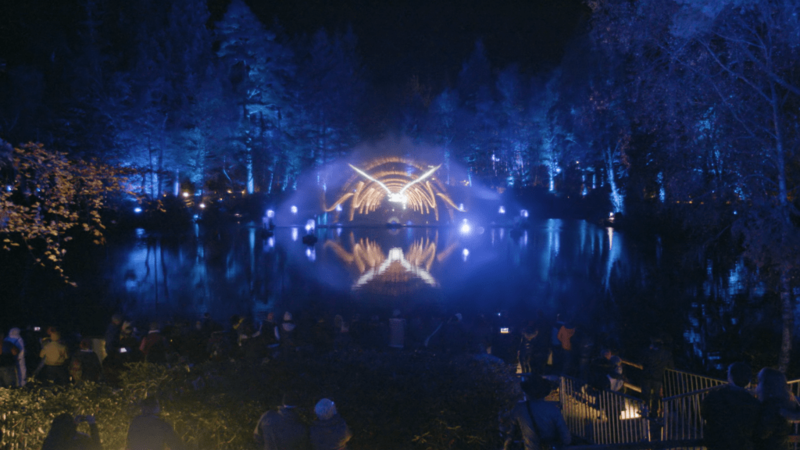 59 Productions were one of a number of artists commissioned to make work for the show “Shimmer”. 59 worked closely with lighting designers Kate Bonney and Simon Hayes as well as RJ McConnell and Jon Beales who provided the sound design and composition.